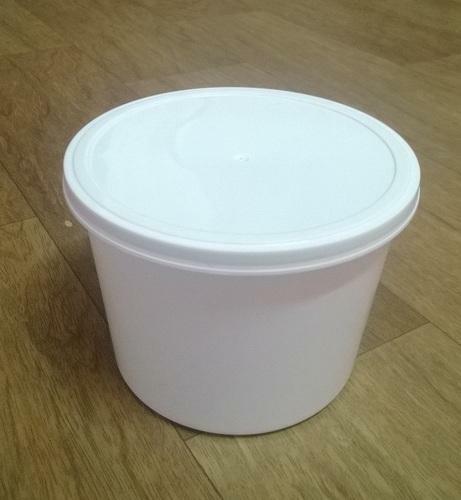 This horizontal shaped ½ kg max food container is extremely easy to carry and is ideal for daily and/or office use. Various food items that can be stored in these containers include pastries, rice, sweets, dry fruits and many others. Salient features of these food containers include air tight seal, durability, elegant finish and a balanced combination of structural & thermal properties. Our realm of plastic containers finds application in storing and packing of diversified food items such as ice creams, rice, biscuits, salads, cakes, dry fruits and many others. High quality standards of our plastic food container, leak proof containers, round food storage containers, household food containers, plastic food boxes, kitchen containers, 1/2 kg round food container, 1/4 kg sleek food container and others are evident from their features of infection free, leak proof, twist resistance and no discoloration. We offer our range in the markets of Dubai and Muscat. With more than 15 years of experience in the industry, we have specialized in customizing our food containers and kitchen container as per the shape, capacity, color and design specifications of our clients.